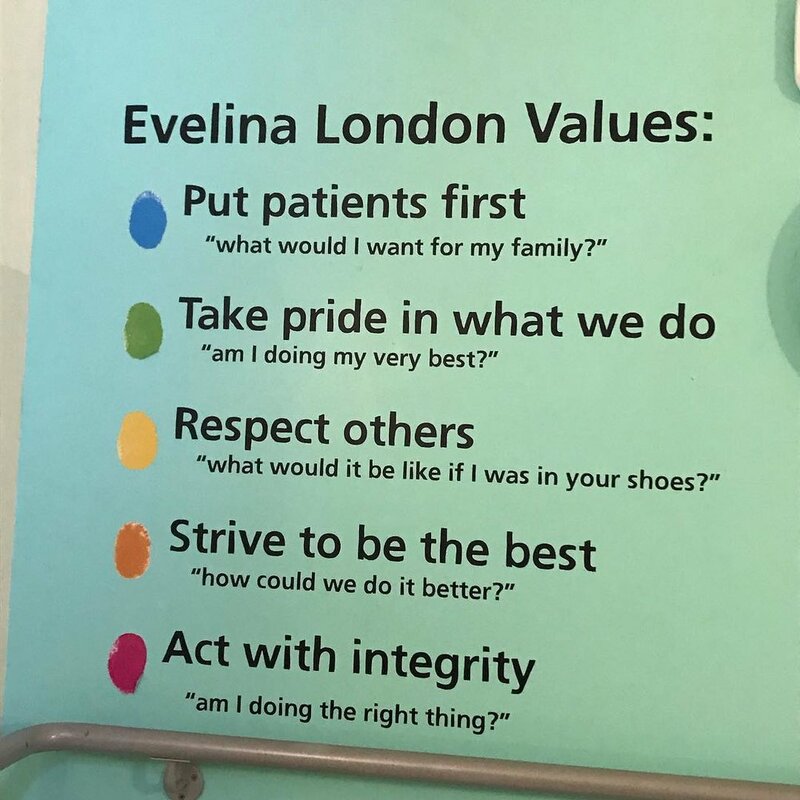 Here’s a photo of the Evelina London Children’s Hospital values and one taken by Kevin of me and Coraline heading to the hospital on the train a week and a half ago. How fortunate we were to be heading to a hospital like this, where everyone we met lived these values. I liked it that the values were also there as screen savers on computers. When we were with Coraline in Paediatric Intensive Care for three nights, they gave us a room to sleep in in the hospital one floor down. We would take it in turns to use the room. I would walk down the stairs and see this sign of the values on the wall. I think values are so important for people and organisations as they shape the way we do what we do. My old lifecoach worked with me on my own ones, and I also have values around which this blog is written (I’ve written about this before). The values behind our Coraline and Us posts are: love, health, acceptance, kindness, appreciation, gratitude, joy, trust in life, openness and authenticity. I think the Evelina staff lived those too! The nurses thanked Kevin for staying up each night, whilst they took care of everything expertly, and they also made such warm comments about Coraline which made us happy.